Here we have a Vintage Rolex 5513 Submariner For Sale from 1968 / 1969. Excellent matte dialed vintage Rolex Submariners from the late 60’s really can be something special. They seem to fade their dials to a beautiful charcoal grey and their hour plots to a lovely contrasting cream/light yellow. They really age well, especially if in excellent condition like this one. 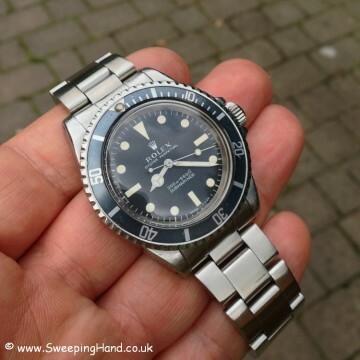 Add to that an exquisite fat font bezel insert and you have a classic wearable vintage Rolex Submariner you will never get tired of looking at! 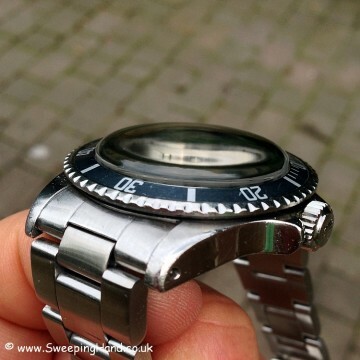 A 2.4m serial dates this to 1968/1969 and all numbers are clearly visible between the lugs. 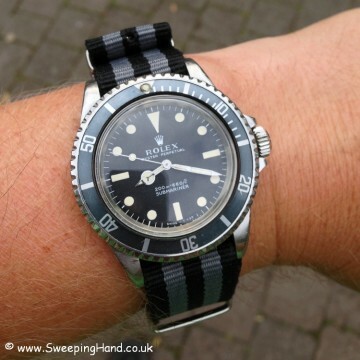 This Rolex 5513 has a 100% mint dial and hands combination, so rare to find in a watch now over 40 years old and with a fat case with Rolex beveled lugs it really is a top example. Added to that a service done in 2011 and it is keeping great time. Comes on an original 9315 folded link bracelet and in a rare triangle top late 60’s leather sports box with green felt slashcard. Dial & Hands: This piece has the most stunning unmarked and perfect Rolex 5513 dial with beautiful deep cream plots and perfectly matching original tritium hands. 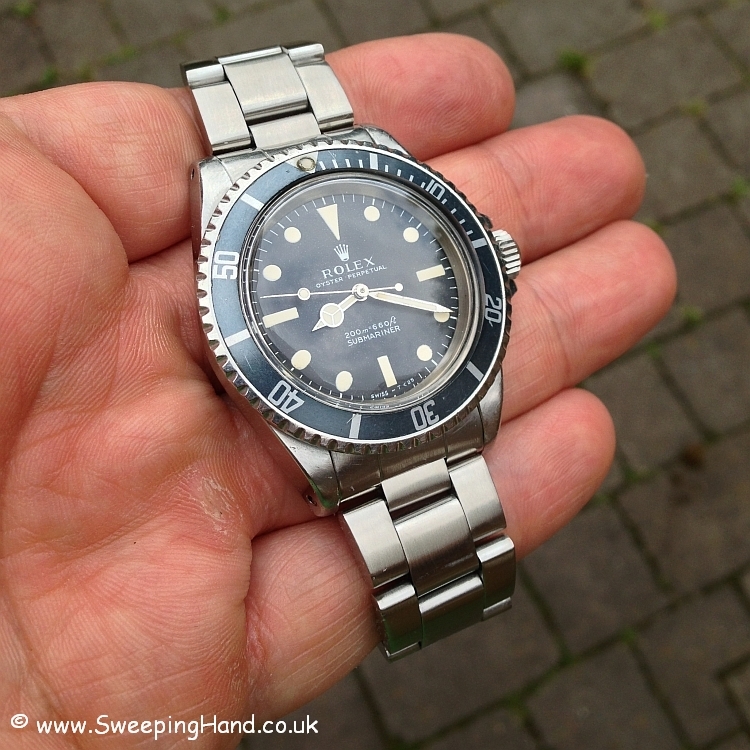 Case & Caseback: Rolex 5513 case is in excellent condition with nice fat lugs and beveled edges. 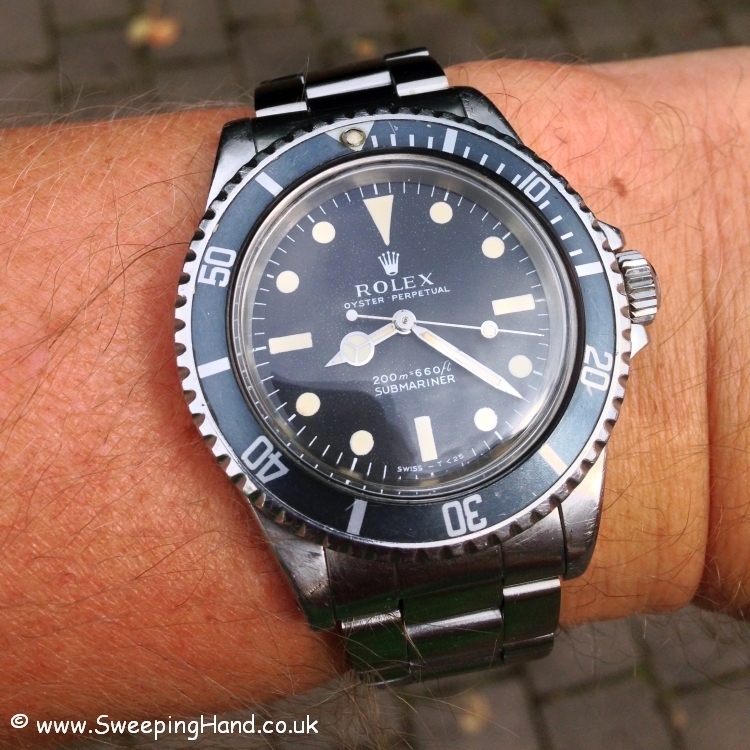 Rolex caseback correctly stamped 5513 and iv68 for the fourth quarter of 1968. Serial numbers clearly visible between the lugs. Beautiful faded fat font insert with transparent tritium pip/pearl at 12. 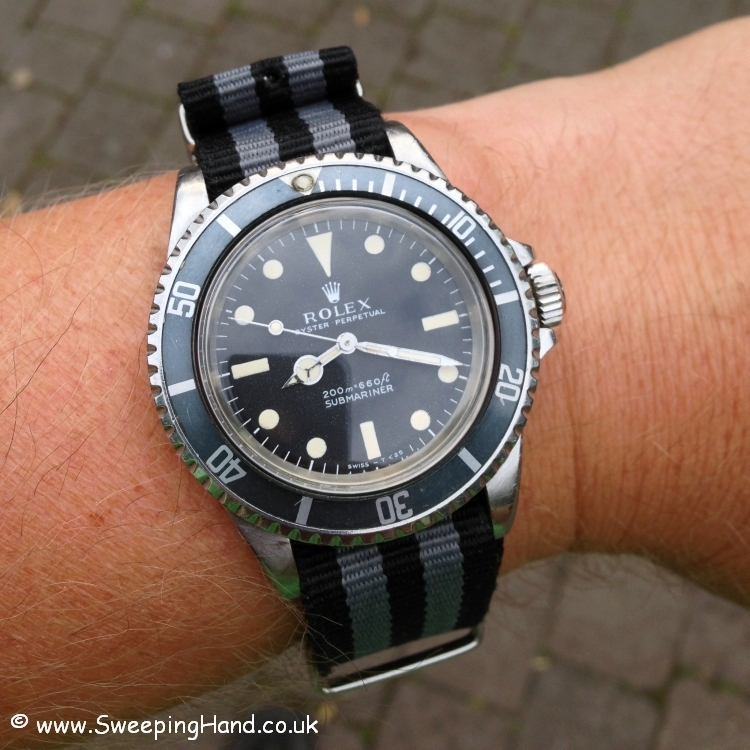 Bracelet: A correct Rolex 9315 folded link bracelet with 380 endpieces and fliplock clasp in very good condition. Box & Papers: A rare late 60’s triangle top green leather slashcard box and service papers from service in Japan in 2011. 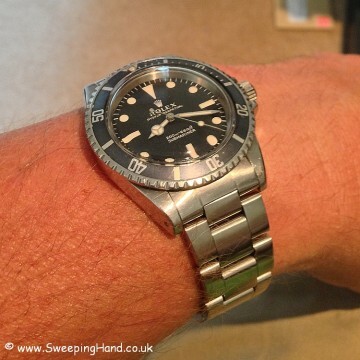 Movement: Original non-hacking Rolex 1520 movement keeping great time having been serviced in 2011.